A lost art in leadership has almost come to the rescue of marketers and consumers, alike. Reagan and House Speaker Tip O’Neill – work congenially. Another example from Congress and the Presidency was Gerald Ford. The focus was on principles, not personalities. Yes, I met all of them. 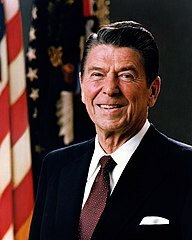 As a young broadcast journalist, I separately interviewed Mr. Reagan before he became president, Mr. O’Neill when he was Speaker of the House, and I broke the story nationwide about Mr. Ford’s plans after leaving the White House. They were indeed leaders. Political compromise was taken for granted in those days. Since then, however, it’s become a lost art. However, we experienced a partial, joyful return to yester-year in April 2011 after the bipartisan bill entitled, Commercial Bill of Rights, was introduced by political adversaries — then-Sen. John F. Kerry (D-Mass.) and Sen. John McCain (R-Ariz.). With Mr. Kerry now the Secretary of State, someone needs to step up to fill his void. Where are the Reagans, O’Neills and Fords now? By way of explanation, changes in commerce and the Internet have led to debate. Admittedly, as a consumer, online privacy is a concern. Trust is important. Consumers have a basic right to protect themselves against predators. Conversely, my marketing side has been concerned by over-reaching of consumer advocacy groups in discussions over do-not-track legislation. Marketers have understandably been worried about the loss of visitors’ data. That is, until now. But the bill is a cavalry of sorts coming to our rescue. It requires a code of conduct, but do-not-track legislation is excluded. In this digital age, much of the economy depends on it. “Americans have a right to decide how their information is collected, used, and distributed, and businesses deserve the certainty that comes with clear guidelines,” said then-Sen. Kerry. “Our bill makes fair information practices the rules of the road, gives Americans the assurance that their personal information is secure, and allows our information-driven economy to continue to thrive in today’s global market,” he added. Access, consent, correction and notice of information – clear notice must be given to consumers as well as their right to opt-out. Constraints on data – Marketers are restricted on the data they collect to enable transactions or to provide services. Enforcement will be provided by the Federal Trade Commission (FTC) and the Attorneys General in each state. The FTC will be allowed to approve programs by nongovernment organizations to monitor initiatives providing safe harbors or protections. The Department of Commerce will help coordinate safe harbor applications for privacy and sharing of information. Sounds good. Today’s politicians need to learn from history. Let’s get it done, and encourage more bipartisan leadership!